Snow Leopard has landed. Apple’s new operating system, which went on sale in SA last Friday, lives up to the pre-release hype, delivering faster performance and a dramatically smaller installation footprint. Named after the endangered cat native to the mountains of Central Asia, Snow Leopard, more formally known as Mac OS X 10.6, doesn’t introduce a raft of new features. Instead, the developers at Apple have taken Leopard, Snow Leopard’s predecessor, and optimised the hell out of it. The result is a much faster, more lightweight operating system. Comparisons with Microsoft’s Windows 7, which will be released worldwide on 22 October, are inevitable. Like Snow Leopard, Windows 7 has been optimised for speed and stability. 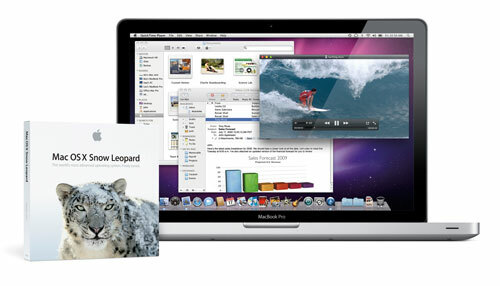 TechCentral installed Snow Leopard on two machines, a 24-inch iMac and a new-generation MacBook. For the most part, installation went off without a hitch, taking about half an hour or so to update each machine. The only real hitch we noticed was that the popular file transfer application Cyberduck was not compatible with the new operating system. However, Cyberduck’s developers have already released a new beta version of the software that works fine with Snow Leopard. You’ll need to download it manually from Cyberduck’s website, though. Another niggling problem we had related to the new version of the QuickTime Player. It refused to play Windows Media Video (WMV) files, saying QuickTime was not installed. QuickTime had no problem playing other video formats. Until we’ve been able to resolve the problem, we’ve set the excellent third-party VLC software as the default player for WMV files. Arguably the most important new feature in Snow Leopard is its support for Microsoft Exchange servers. This makes Macs more enterprise-friendly and more able to be used in corporate settings. However, only the latest Exchange Server, version 2007, is supported. What we really liked is how much disk space Snow Leopard manages to save. After installation on a MacBook, we freed up an incredible 11GB of space. There are plenty of another refinements to the software which you’ll notice as you use it. After a couple of days, we are confident Apple has produced a really slick, powerful and fast operating system in Snow Leopard. Some folk have complained that Apple is charging good money for the update, saying it’s, in effect, nothing more than a major service pack for Leopard, that it doesn’t contain many new features. We think these critics are being disingenuous. After all, on that basis, Microsoft should also be giving away Windows 7. Next Article Hey, PC, who tought you to fight back? I think the next revolution for Apple will only come if they ever move on from OSX to something beyond that. Fundamentally, every point release was built on the fundamental core of OSX. I think Apple’s pricing policy on 10.6 shows an acknowledgement of this minor, but brilliant update to Leopard. I did an in-place upgrade to Snow Leopard on my MacBook Pro. It took about an hour, no problems with the process. On the positive side, I love the Exposé/Dock integration and the now built-in QuickTime X screen-recording. On the issues side, I had to install Rosetta for compatibility with my Intego security software (used to kill viruses on PC-users’ flash drives). I also installed the supplemental printer drivers in an attempt to get my HP Color LaserJet CM1312 MFP to work. Printer works, scanner doesn’t. All this made me give up some disk space instead of getting some back as promised. The problem with the scanner (USB) has to do with some incompatibility with the Vodafone HSDPA USB modem I’m using. Vodacom says they aren’t ready with the update to the driver for it because Apple unexpectedly moved up the release date for the software. The mobile connect app is a little funky (no stats, for example), but surprisingly it still connects me. I plan to do a fresh install in about a month or so after everyone has updated their software and I can get around my issues list – I’ll get my few gigs back then. It is by no means a revolutionary upgrade, and without getting into the debate about if we should or shouldn’t have been charged for the upgrade, people wanting to upgrade don’t have to run out to go get it right now, but upgrade when you can, there are some benefits. Check out http://snowleopard.wikidot.com/ for compatibility before upgrading. In all, I agree – Snow Leopard is a winner! 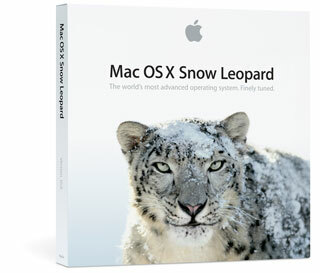 I understand that Tiger users can actually use the “upgrade” version to update their machines to Snow Leopard. It is apparently a full version and doesn’t require 10.5 already installed to do the update.